Today, having a company website is no longer enough to stand out among the thousands of competitors you compete with in the digital space. Blogging isn’t just a place to host your company press releases, it’s about providing valuable content to your future customers. Business blogging is a marketing tactic used in a business’s overall marketing strategy. It is a digital publishing channel on a company website that helps support business growth through content marketing and writing insightful, educational articles. Business blogging has been known to improve a website’s SEO. No matter what kind of business you have, whether you’re a local mom and pop shop, or a giant corporation, there are some serious benefits you could be missing out on if you aren’t keeping an active blog on your website. Although the benefits are seemingly endless, we’re listing our favorite top 5 benefits of business blogging. Consistently updating an active blog for your business, allows you to personify your business by giving it a voice. Your blog is a space to discuss industry related topics, market trends, and upcoming products. Focusing on these topics actively builds brand-trust. Trust generates leads. Leads grow sales. Can you see where this is all going? When you utilize your blog effectively, you are creating a two-way conversation between you and your customers, prospects, and other industry professionals which can be very helpful for gathering insights for future business development. Having an active blog helps you to stay ahead of the curve when it comes to industry news and competitors. By staying ahead of the curve, you are positioning your company as a leader as opposed to a follower. Your blog also serves the purpose of having a place to share your brand story, although it should be noted that it’s not advised that you blog only about yourself as a company. There are some pretty obvious SEO benefits blogs can offer, such as viewers spending longer amounts of time on your website, increasing page views, and lowering bounce rates. However, it’s also important to mention that search engines love valuable content and reward it with higher search result placements. Because of the effectiveness of blogs for ranking more highly in search results, most SEO companies will provide content marketing services. As more people are putting out content to capture the attention of search engines, the algorithms are getting smarter. Your business blogging content should focus on having frequent high-quality content as opposed to having constant poor-quality content. In addition, your blog should contain a minimum of at least 500 words. However, if you have the capacity to write longer blogs, you should always opt for the latter because Google favors in-depth blog articles. 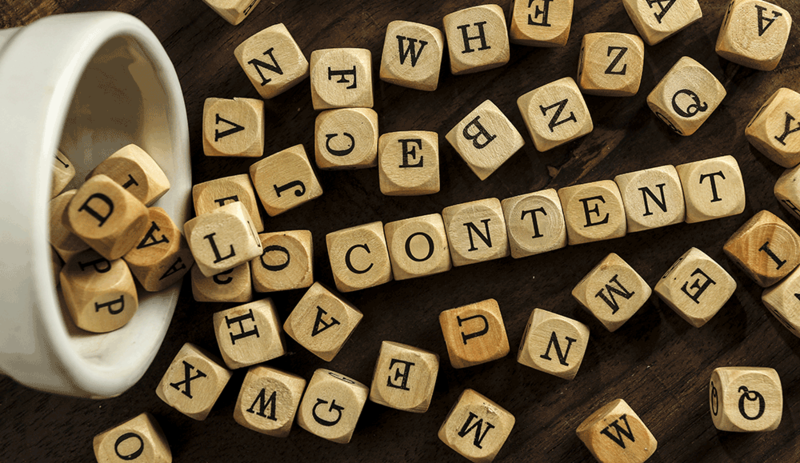 Having high-quality content helps generate inbound links from other authors, journalists, and bloggers in your field. Not only are these types of links beneficial for your SEO, but they also generate greater amounts of referral traffic linking back to your site. Using blog articles for your sponsored posts campaigns on both LinkedIn and Facebook ad platforms have been proven to be very effective. Depending on the nature of the industry, boosted blog posts typically generate more engagements as opposed to generic click campaigns. This increased engagement impacts your overall organic reach for the post, which essentially means you are getting more viewers and spending less money as you’re running your ad campaigns. Asides from using blog content for your ads, leveraging your blogs throughout your social media content also increases the chances of gaining extra exposure. When writing your blog topics, you should always have in the back of your mind, “what would make people want to share this content with their followers?” When you can write a blog that is so interesting that others will want to share it, you are ultimately gaining free exposure. Pro Tip: Always ensure to include a good mix of evergreen content in your blog. Evergreen content allows you to recycle your blogs on social media as you continue to gain new followers, who may not have seen your blog the first time you posted it. Business blogs are cost-effective marketing investments. Many business owners choose to outsource their blogging to content marketing services because it can be a time-consuming task when you are already wearing multiple hats for your business. While this is perfectly fine, an ideal situation would be to have a mixture of both outsourced and native blogging content. Blog posts are fairly cheap to create and show proven results over time. According to Hubspot research, B2B marketers who use blogs as part of their content marketing mix get 67% more leads than those that don’t. Blogging is an integral part of your digital sales funnel. In addition to driving traffic to your website, business blogging is a great opportunity for getting leads for your business. By using non-intrusive lead capturing tools such as lead capture forms and call-to-action buttons at mid-points or the bottom of your blog, you can gather valuable data on the quality of leads your blogs are generating. How many times have you read a blog, and downloaded a free e-book because you were interested in gaining more insightful information about the topic you were reading? If you recall a moment where you have personally done this, congratulations! You were successfully moved from the inbound marketing stage of attraction to the stage of conversion. Each blog post you create is an additional page that can be indexed by Google, which can be used with a combination of lead generating call-to-action buttons such as free webinars, fact sheets, and eBooks. Asking for emails isn’t an easy task, but when you offer valuable data in exchange for emails, you can leverage it for better prospecting. Although it can be difficult to find the time to write quality blogs, you don’t want to neglect the benefits of blogging for your business has to offer. By utilizing your local outsourced marketing services, your blogs can serve as a central piece for all your other marketing efforts which can include, social media marketing, SEO, email marketing and much more. When business blogging is done properly, it creates an opportunity that will have lifelong benefits to increasing traffic to your company’s website.